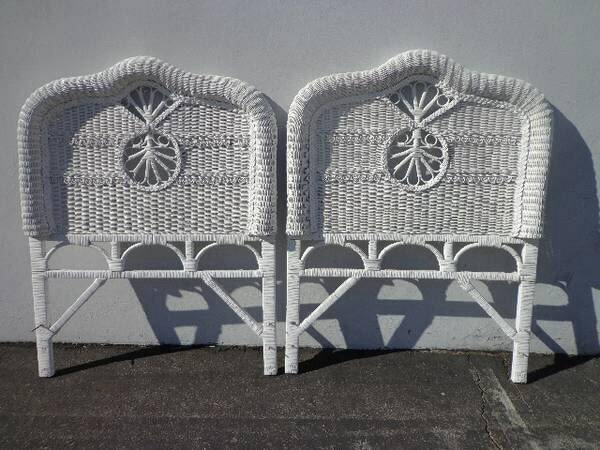 Great set of beachy wicker twin headboards. 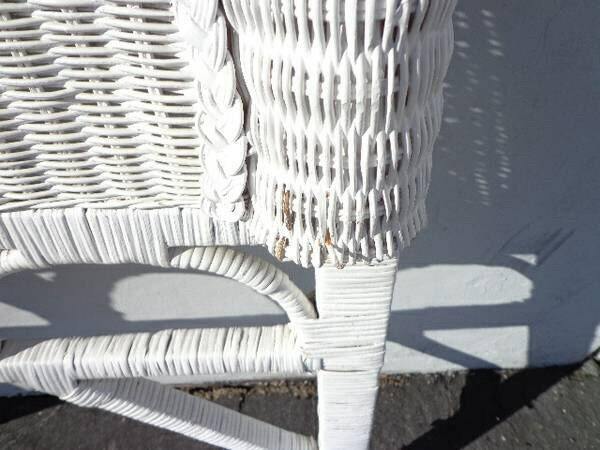 Nice thick woven wicker construction, painted white, and perfectly distressed. Each headboard will accommodate any standard twin size bed and easily attaches to any metal bed frame. 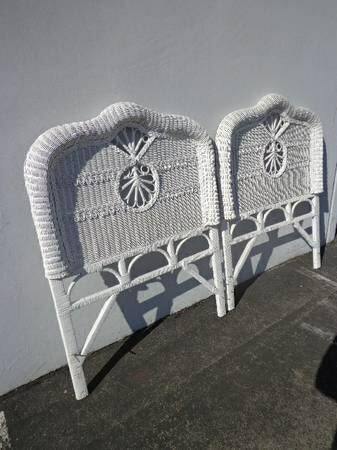 Will go great with regency, Hollywood glam, shabby chic, country cottage coastal, French Provincial. 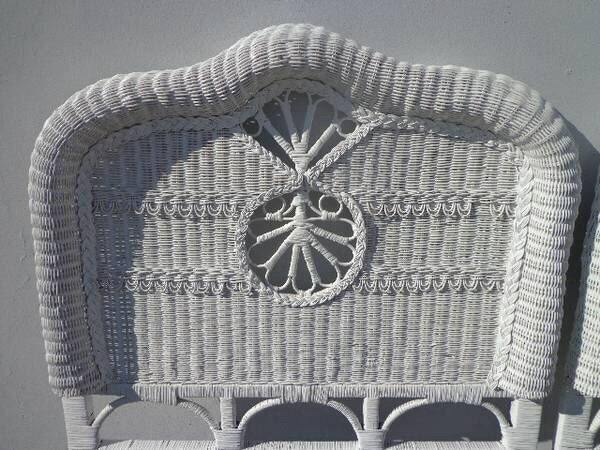 Eclectic, Asian inspired, mid century, modern, contemporary, shabby cottage coastal decors. Vintage condition and both show wear from age/use. Solid and sturdy frames. Shows wear to the paint finish. 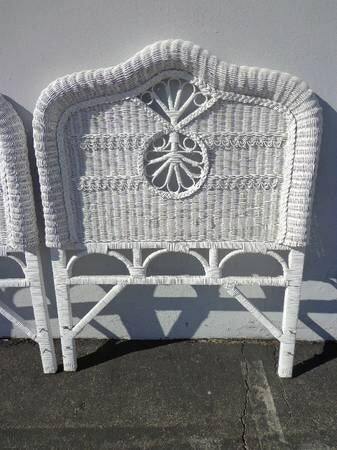 Dimensions: 39 3/4" x 51 1/2"